The newly developed ERF350 boasts high throughputs in combination with ultra-low melt losses. This first model in a new, performance enhanced generation of the ERF series is suitable for processing all standard polyolefins and polystyrenes as well as numerous engineering plastics, for instance styrene copolymers, TPE and TPU. Like all ERF models, it is capable of removing foreign particles such as paper, aluminum, wood, elastomers or high-melting polymer composites containing up to 18% contaminants. Just like all other Ettlinger filter systems in the future, this brand new machine can be easily integrated into Industry 4.0 environments. Depending on the type and level of contamination in the melt to be cleaned and the selected screen size, the ERF350 achieves a maximum throughput of 3800 kg/h in combination with the same ultra-low melt losses. It is thus positioned much higher up in the portfolio than the existing ERF250, which already impresses with a maximum throughput of 3000 kg/h. According to Ettlinger this represents an increase of around 28% for the same filtration surface and typical small footprint. This value has since been confirmed during the first few months of practical duty with pilot customers. Users profit from more productivity when recycling contaminated waste plastics from industrial or consumer sources. Furthermore, experience to date has shown that energy consumption is about as low as that of the ERF250 in spite of the far better efficiency. Like all ERF and ECO filters built by Ettlinger, the new, self-cleaning ERF350 model works with a rotating, perforated drum, through which there is a continuous flow of melt from the outside to the inside. The screen sizes range from 80 µm to 1300 µm. A scraper continuously removes the contaminants that are held back on the surface and feeds them to an exit screw or discharge shaft. This enables the filter to be used fully automatically and without any disruptions over a period of weeks and months without having to replace the screen. The advantages of this design are the constant melt pressure at the filter outlet leading to more reliable processing, ultra-low melt losses – recognized throughout the industry – and good mixing and homogenizing of the melts. 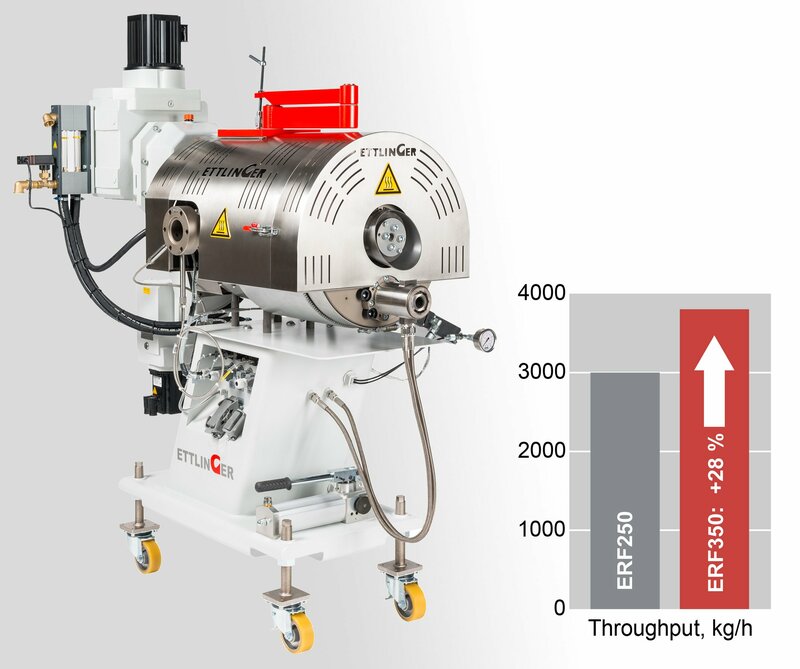 Whereas the ERF series is optimized for separating foreign particles from heavily contaminated polymers, the ECO series is ideal for filtering polyolefins, PET and PA as well as recycled material containing up to 1.5% contaminants during the extrusion of films, sheets and other semifinished products. 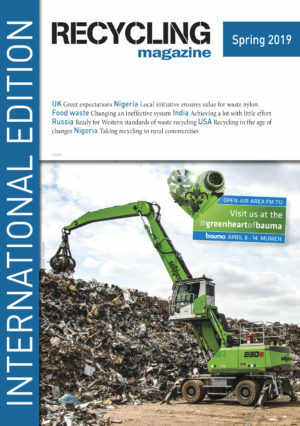 According to MRC, the Global Waste-Derived Biogas market is accounted for $5.79 billion in 2015 and is expected to reach $10.45 billion by 2022 growing at a CAGR of 8.8%. Market growth is due to fastest growth in Renewable energy generation.